readily available through public schools. 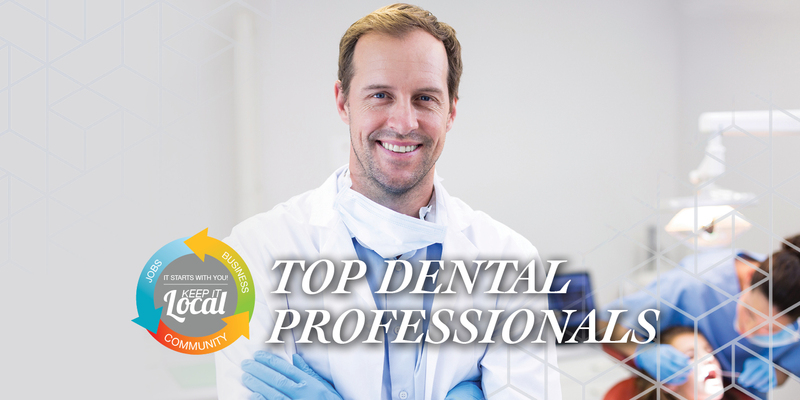 While the following is not an exhaustive list of schools in the area, it represents schools that have earned a reputation for quality instruction and nourishing development of inquisitive young minds. Little Oaks Montessori Academy prides itself on helping children reach their full potential in a safe, encouraging learning environment. We focus on instilling self-assurance and self-reliance in younger children that will last throughout their entire lifetime. Our instructors are merely guides, and children are encouraged to direct their own learning and discovery based on their own unique set of skills and interests. Little Oaks accepts students as young as 8 months old to 6 years of age. Our curriculum is divided into three programs: infant, toddler, and primary. The Montessori classroom is a laboratory where sensation and observation combine to form meaningful experiences which create and reinforce neural connections, the basis of all intelligence. We offer a variety of enrichment programs such as yoga, ballet, tumbling, pottery, and music. Little Oaks also offers before school care and after school programs, as well as weekly summer programs in July and August. Schedule a tour of our Herndon campus to meet our teachers, explore our facilities, and talk with other parents about the benefits of sending your child to Montessori school. 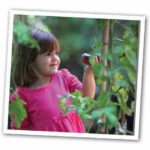 Learn more about Little Oaks Montessori Academy by visiting lomamontessori.com. Bishop Ireton High School is a private co-ed Catholic College Preparatory high school in Alexandria serving grades 9-12. Founded in 1964 by Oblates of St. Francis de Sales, Bishop Ireton has a rich history of promoting spiritual, intellectual, creative, social, and physical development. Their mission is to challenge students to “Advance Always” in the love of God and man in order to meet and surpass present and future challenges in the 21st century. They offer a challenging curriculum of over 41 college prep, honors, and Advanced Placement courses, specifically geared for 21st century learning, as well as a four year community service program. Bishop Ireton is also proud to offer more than 50 co-curricular, student-led clubs and activities, 25 athletic programs, and 22 spiritual and service driven retreats over the course of the school year. Bishop Ireton High School’s internationally renowned music and award-winning drama programs showcase their commitment to furthering the arts and inspiring creativity among our students. Attend the open house this fall to meet faculty, administrators, coaches, parents, current students, and take a tour of our facilities. Learn more about Bishop Ireton High School and find the next open house by visiting bishopireton.org. LePort Montessori is a mixed-age school and family-like community that fosters trust, autonomy, and social skills in children of all ages. Their mission is to equip students with essential knowledge, thinking skills, and strength of character so they can flourish as happy children today and successful adults in the future. Their curriculum emphasizes the relationship between academically challenging material presented in the classroom and real-life adventures that children experience outside the classroom. LePort accepts students as young as 12-weeks-old to 12-years-old. Their programs are structured for infants, toddlers, preschoolers, kindergarteners, and elementary-aged children. Their motivated teachers have a passion for their subjects and have demonstrated a love of working with children and fostering their unique skill sets and interests. LePort also offers Parent & Child classes, enrichment events, and after school care. LePort has campuses throughout the country and six right here in Northern Virginia. Schedule a tour at a campus near you or attend one of their local events to discover what LePort can do for your child. 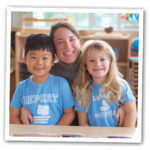 Learn more about LePort Montessori by visiting leport.com. 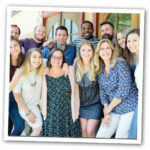 For over 3 decades, Brooksfield has offered a unique Montessori experience cultivating a love of learning that fosters lifelong friendship between children, families, teachers, and the community. Situated on five quaint acres, the staff at Brooksfield is dedicated to providing a loving, stimulating, and creative environment with a focus on nature and the arts. Honoring each child for who they are and who they can become, Brooksfield School fosters a thirst for knowledge and self discovery that inspires your child to blossom and flourish. Preparing an environment that encourages self confidence and independence for each child, Brooksfield considers it a joy to help them discover their full potential. Brooksfield School also organizes multiple community service and outreach activities to exemplify the values of generosity, compassion, and aim to create healthy, eco-friendly learning environments for their children while showing them the importance of environmental stewardship. 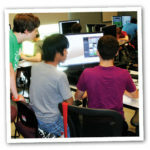 MGTA is the Community Outreach Youth Program for the University’s Virginia Serious Game Institute (VSGI) and the Mason Computer Game Design Program. Courses are developed and taught by Mason faculty, who are assisted by advanced game design and computer science university students – many of whom have start up companies of their own at VSGI, serving as mentors to the next wave of tech entrepreneurs. MGTA offers age appropriate courses for students, ages 9-18 in 3D Game Design, Virtual Reality Game Design, Augmented Reality Mobile App Development, Art and Animation, Programming, and VR Minecraft modding. MGTA also offers Teacher Training workshops, and an Executive Education Certificate program for professionals/adults, in serious game development. 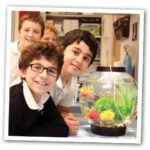 The Langley School creates a child-centered environment that is academically challenging and uniquely engaging. The students blossom in a safe, structured, and academically rigorous community that enables intellectual risk-taking while promoting positive social and personal development. The Langley School celebrates the middle school years to ensure they are not simply a sandwiched transition between elementary and high school. For every child the innovative and differentiated teaching is tailored to the different learning styles of the students. Students learn so much more than how to read, solve a math problem, speak Spanish, or use a microscope. Langley prepares students for a life of intellectual engagement and responsible citizenship. Dr. Elinor Scully, Head of the School remarks, “What distinguishes Langley is our commitment to pre-school through eighth grade children. These are foundational years that can position a child to thrive at work and in the community. We underscore the intellectual, social and emotional development and have a curriculum that is designed to ensure each child’s success. Green Hedges School provides an experience that emphasizes core academic subjects, foreign languages, the arts, and athletics, while supporting the overall growth of the students. Art and music classes are part of the weekly schedule for all grades and dance is included as a regular part of the PE program. A unique aspect of Westminster School is its drama program. All students participate in theater, performing in a class play every year, culminating with a Shakespeare play in the 7th grade and a Broadway musical in the 8th grade. This rich and varied program is supported by extensive optional extracurricular clubs and activities, including Builders Club (community service), Chess, Chorus, Orchestra, French Club, Math Counts, Odyssey of the Mind, Science Olympiad, as well as team sports in basketball, soccer, softball, and track and field. 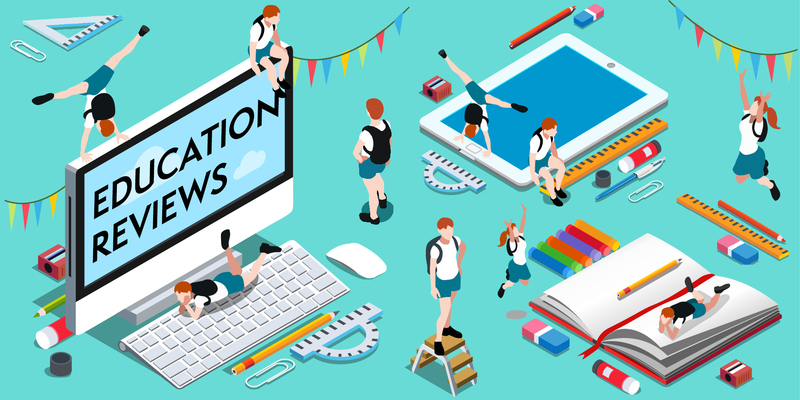 Athletic competitions, art exhibitions, math contests, science fairs, and talent shows provide many opportunities for students to explore and share their talents and develop leadership skills. 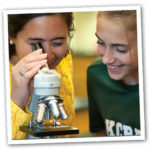 Westminster parents appreciate that the daily school life is supported by an array of programs, including small-group teacher-provided academic support which is built into the school day, extended care, summer and intersession camps, frequent field trips, after-school enrichment classes, door-to-door bus service, and an optional lunch program. The Westminster Parents’ Club provides a variety of ways for parents to be involved in school life and support their children’s education. Finally, the Westminster community is strengthened by its diversity, with a student body and faculty representing more than 40 different countries and a variety of religions and ethnic origins. Westminster provides a unique environment where each individual is recognized, respected, and celebrated while all are united by shared values of kindness, respect, responsibility, a strong work ethic, enthusiasm for learning, and joy in the possibilities of life. Fusion Academy is an accredited, non-traditional private middle and high school serving students in grades 6-12. They offer a revolutionary educational experience that can be completely customized for each individual student based on self-paced mastery learning. Their class size is as small as it gets—one teacher and one student per classroom. This allows their students to flourish emotionally, socially, and academically in a safe, familiar space. The curriculum goes past traditional academic subjects to include music and art as part of their required Wellness Program. Fusion Academy is proud to offer over 250 class options including honor courses and life skills courses. Fusion Academy generally serves students with the following backgrounds: anxiety, ADHD, social challenges, learning differences, dyslexia, gifted or accelerated learners, and students with challenging schedules. However, students of all backgrounds are welcome at Fusion and can be enrolled at any time during the year. They even offer summer school options. Fusion Academy has campuses all over the country, including three in Northern Virginia—Alexandria, Loudon, and Tysons—and one in Washington D.C. Register for one of their informational events or schedule a tour of a Fusion campus near you to learn more. Veritas Collegiate Academy is a private classical Christian school with a mission to lead students into excellence through a firm foundation of academia and the inerrant word of God. Serving students in grades PK-12, their curriculum is based on the trivium which incorporates three parts: grammar, logic, and rhetoric. By instilling in children a love of learning, teaching them how to think and how to articulate arguments based in facts and logic, Veritas Collegiate Academy prepares their students for a life of leadership that may impact the world for Christ. Their esteemed faculty offers spiritual mentoring as well as classical teaching to further develop relationships among the student body and deepen your child’s faith. Veritas also offers a variety of athletic programs, art programs, and even summer camps! Their new Fairfax campus is currently accepting applications for the 2017-2018 school year. Sign up for the open house on their website to learn more about the mission and vision of Veritas, meet administrators, faculty, students, and even step into a classroom to see students and teachers in action. They’re scheduling tours of the campus on Mondays, Wednesdays, and Thursdays this summer. 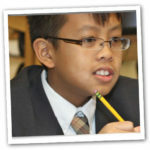 Learn more about Veritas Collegiate Academy at veritasca.com. General objectives of the Montessori program are to: nurture self-confidence, independence, concentration, co-ordination, a sense of order, and an awareness of self, community and the world, to encourage and direct the natural desire to learn, choose and solve; and to provide a carefully prepared environment and personnel to support learning as it moves from the concrete base to greater abstraction. 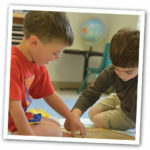 The Montessori School of McLean is one of only two accredited schools in Virginia. The main focus of the Pre-Primary (toddler) curriculum is social/emotional development, language skills, gross and fine motor control, extended concentration, independence, potty training, and preparation for the Primary level. We have an Infant/Toddler Montessori trained teacher with two, sometimes three, assistants, creating a 1:4 adult/child ratio. The Primary (preschool/kindergarten) environment is divided into four main categories: practical life, sensorial exploration, language, and mathematics. The academic program also includes art, music, geography, science, history, foreign language, and physical education. The rich Elementary curriculum includes mathematics, language, reading, grammar, writing, spelling, geography, history, technology, spanish, and science. The Montessori School of McLean is one of only a few Montessori schools in Virginia to be accredited by the American Montessori Society (AMS), AdvancED-Southern Association of Colleges and Schools (SACS), and to be certified by the Commonwealth of Virginia Department of Social Services. The Potomac School prepares students to achieve academically and to live healthy, principled, and successful lives. Potomac faculty truly get to know each child – their interests and passions and what lights their intellectual fire, while challenging students with a rigorous program of inquiry and study. Potomac graduates develop a framework for understanding the world and the skills and traits to succeed in it. Head of School John Kowalik notes, “A Potomac School education is distinctive in many ways. I think immediately of the excellence of our teaching and the beauty of our wooded, 90-acre campus. One of our great strengths is the fact that Potomac is a K-12 school with all grade levels in one location; this creates exciting opportunities for collaboration and contributes to the strong sense of community for which our school is known. Oakcrest educates the whole person. Inspired by the teachings of the Catholic Church and the spirituality of Opus Dei, they weave together a rich liberal arts curriculum, character development, one-on-one advising and service to create a vibrant environment that graduates confident young women who will make a difference in all they choose to do. Students at all-girls schools report having higher aspirations and greater motivation. They are challenged to achieve more, engage more actively in the learning process, feel more comfortable being themselves and express their ideas, show greater gains on core academic and life skills, and be and feel more supported in their endeavors. Oakcrest School helps girls to be unafraid of effecting positive change wherever they go to discover and know themselves. Each girl is encouraged to blossom and is given individualized attention that feeds their mind and soul. Girls develop a strong foundation to grow in wisdom and virtue, ready to face the world. The School provides a Catholic education instilled with the spirituality of St. Francis de Sales. It is intended to “make your child’s faith a living, conscious, and active one through the light of instruction.” The integration of religious truth and values with life is the focal point of the curriculum. OLGC School strives for academic excellence, encourages appreciation of the fine arts, fosters self-respect, respect for all life, and attempts to develop responsibility for the total community. Our Lady of Good Counsel Catholic School has a long standing reputation for excellence in academics and a caring, family environment which facilitates learning and the child’s spiritual, social, emotional, and physical growth. Students who successfully complete the course of studies at Our Lady of Good Counsel School are well prepared for academic success in high school and beyond. Our graduates typically choose to attend Bishop O’Connell and Paul VI High Schools, Gonzaga College High School, Georgetown Visitation, Georgetown Prep, and other private and public schools. Virginia Academy is a fully accredited Christian private school serving grades PK-12 in Loudon County. Our school dates back to 1997, when it was only a preschool and kindergarten academy with just 25 students. Since then, Virginia Academy has grown to be one of the largest private schools in Northern Virginia. We emphasize a quality foundation of academic excellence with a Christ-centered position. Our highly acclaimed curriculum and programming is designed to help every child discover and use his or her unique gifts for their best life. 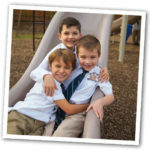 At Virginia Academy, it is our firm belief that every child is endowed with unique abilities and a God-given purpose which is why we are committed to providing a variety of opportunities to develop each child individually. We offer advanced placement courses, physical education classes, Bible classes, foreign language workshops, and a variety of electives such as drama, computer class, art, band, and chorus to make for a very well rounded student. 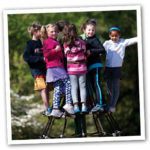 Virginia Academy also offers extended care and several different camps throughout the year. Schedule a tour of our facilities and meet our teachers, parents, and current students to get an intimate look at life at our school. 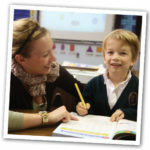 Learn more about Virginia Academy by visiting virginia-academy.com.